JOE EDGAR FARRIS, son of John Edgar and Astrea Alberta (Gober) Farris, was born 7 January 1916 in Frederick, Oklahoma; married Nora Belle Jeffries. Joe and Nora had three children, Janet Kay, Jo Ann and Jerry Wayne (all deceased). 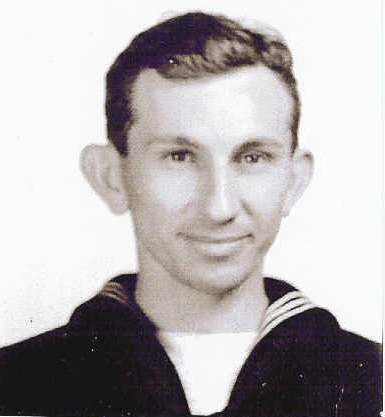 Joe was a farmer in the Tipton area prior to joining the U. S. Navy. Joe was stationed in San Diego durring most of WWII serving as an Aviation Machinist's Mate Third class. After the war he returned to the Tipton area where he continued farming and operating an upholstery business. During this time he served on the Tipton School Board for 10 years and one term on the Tipton City Council. He was a Deacon at the Bethel Baptist Church and taught Sunday School for many years. Joe died 12 April 1998 at the age of 82 years and 3 months and is buried in the Frederick Memorial Cemetery, Frederick, Oklahoma. Bio written by his nephew, Farris Laverne McKinley and submitted by Barbara Farris Cunningham. Write-up not included in original 1940's publication.